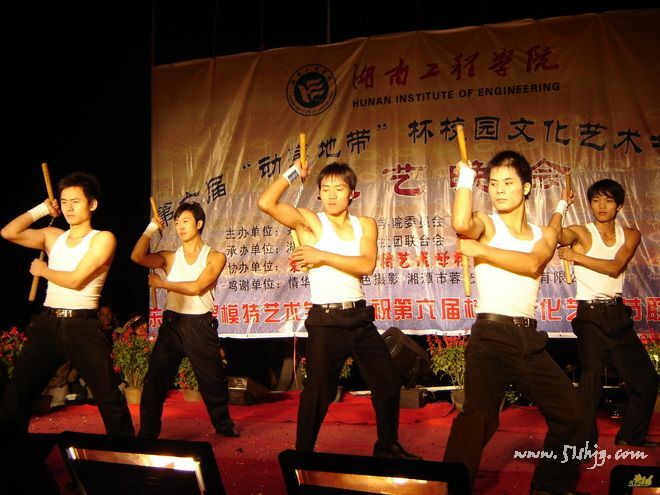 Some Chinese practitioners at a public demonstration in China. 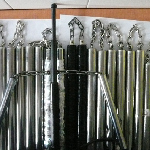 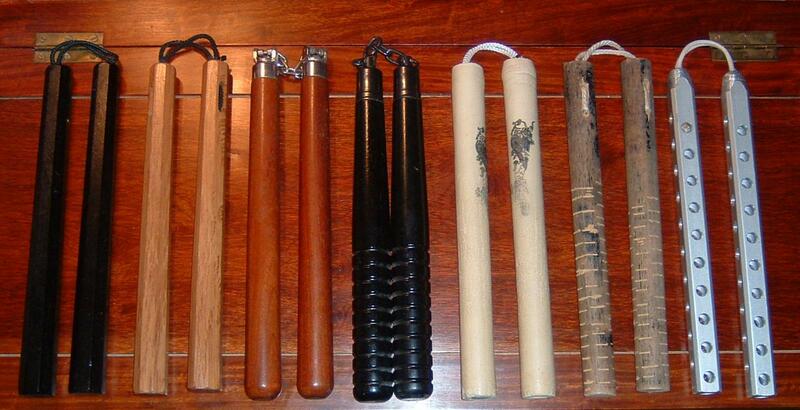 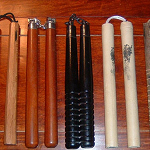 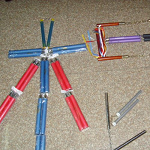 Different models of Chinese Nunchakus. 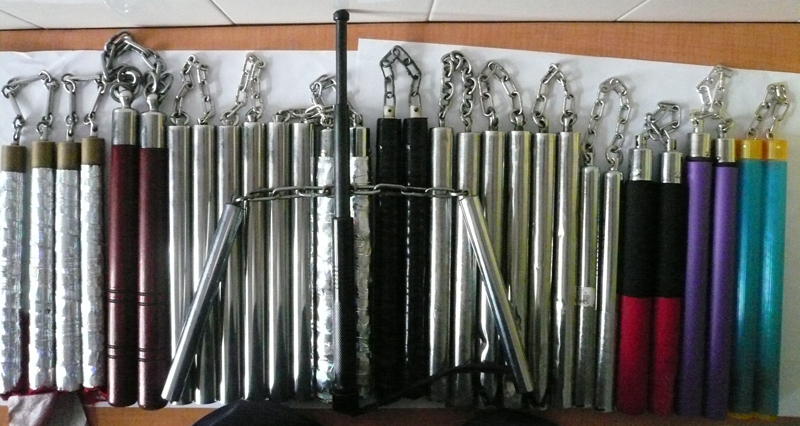 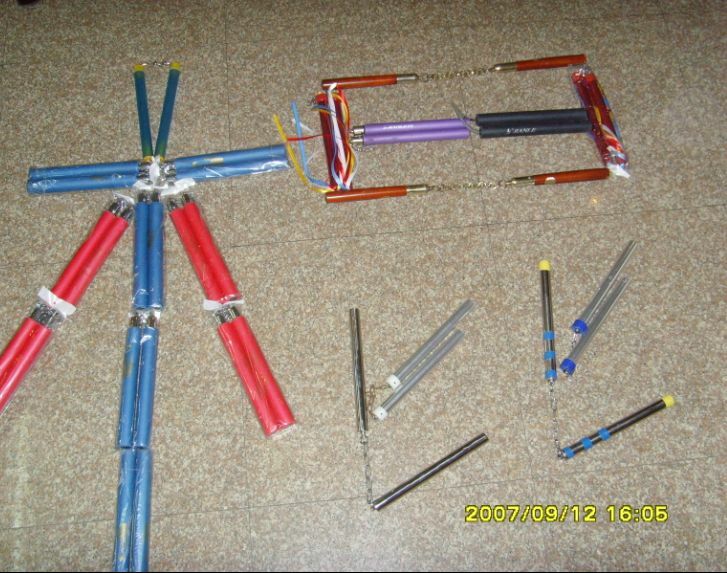 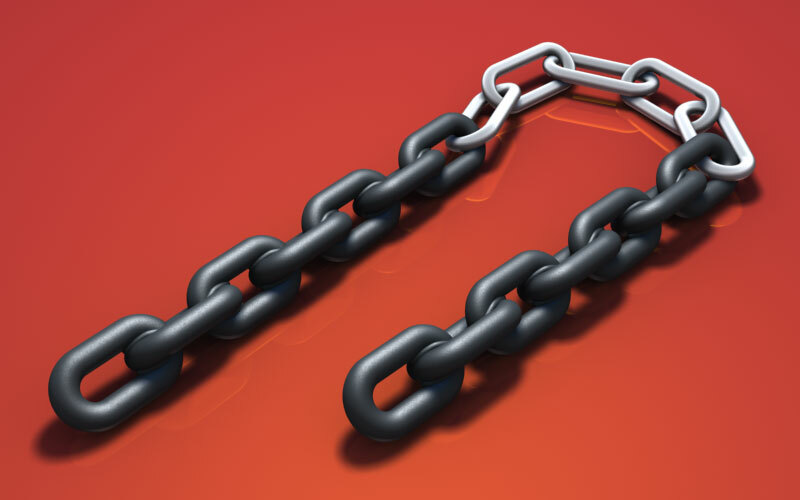 Amazing Nunchaku built only with chains. 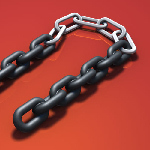 It's a good digital image. 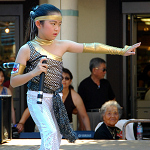 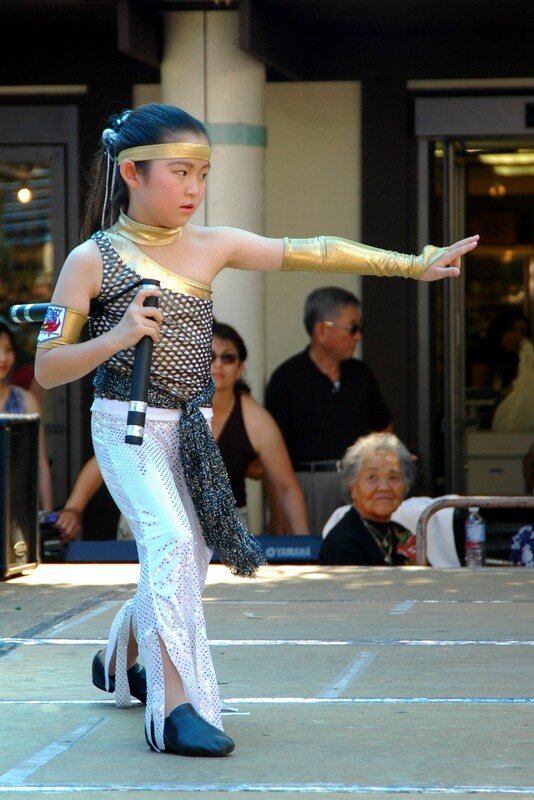 Photo of a young Chinese girl at a public demonstration of Nunchaku. 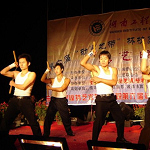 High sized picture of a Chinese three-section staff. 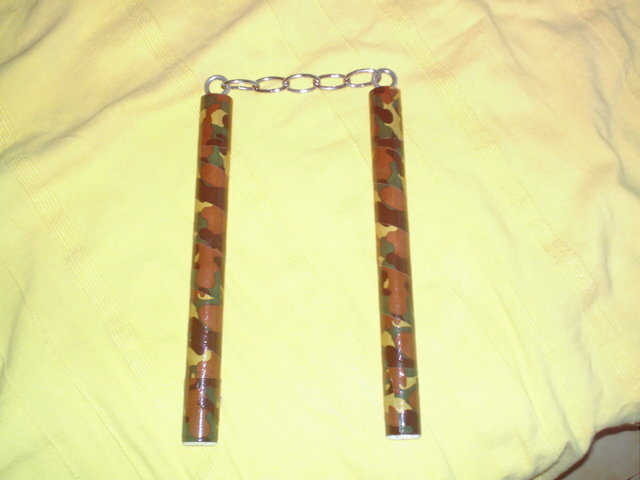 Nunchaku with an army style design. 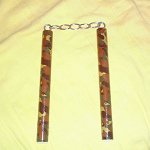 Photo of a Chinese Nunchaku practicer. 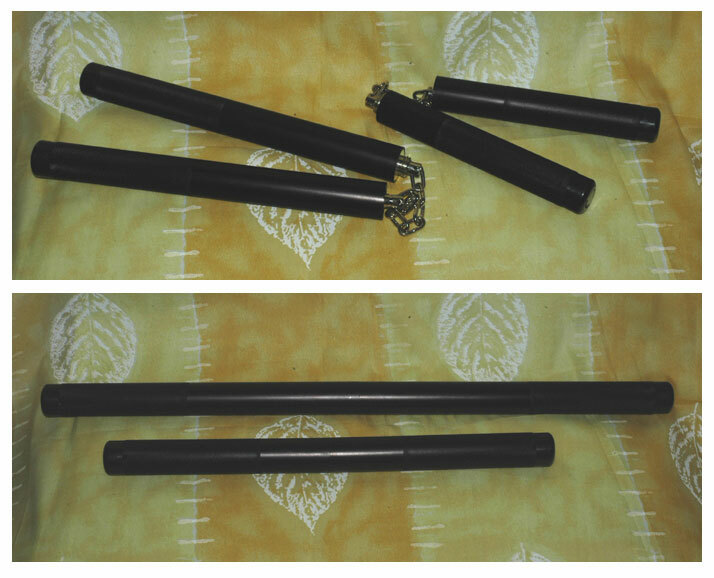 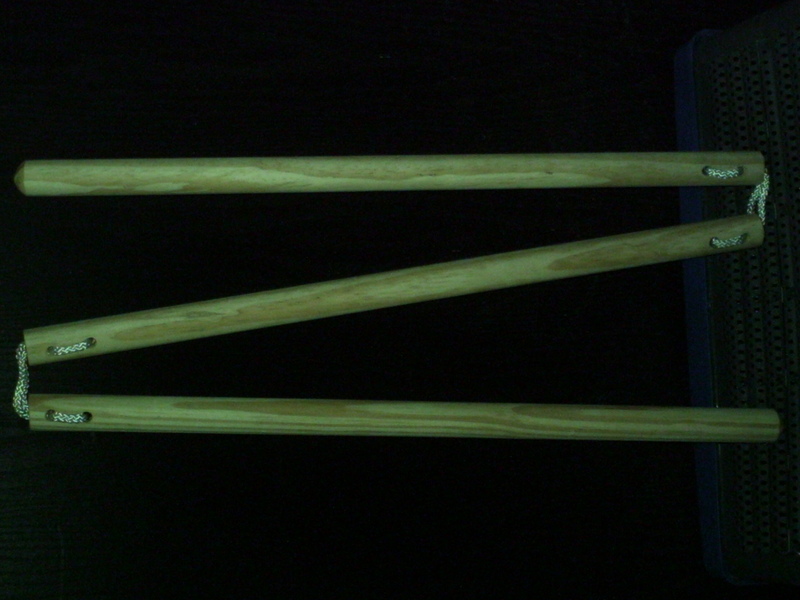 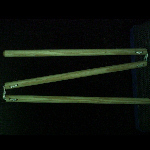 Reproduction of the Chinese character "ku" from Nunchaku with... Nunchakus ! 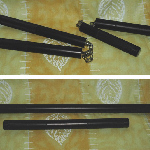 The two parts of this Nunchaku can be assembled to make a stick.